According to a 2013 report from the California Department of Finance, the Bay Area is the only region in the state where more people are coming than going. Translation: Tech is still booming and Silicon Valley still has a reputation of being the best location to build disruptive startups fast. 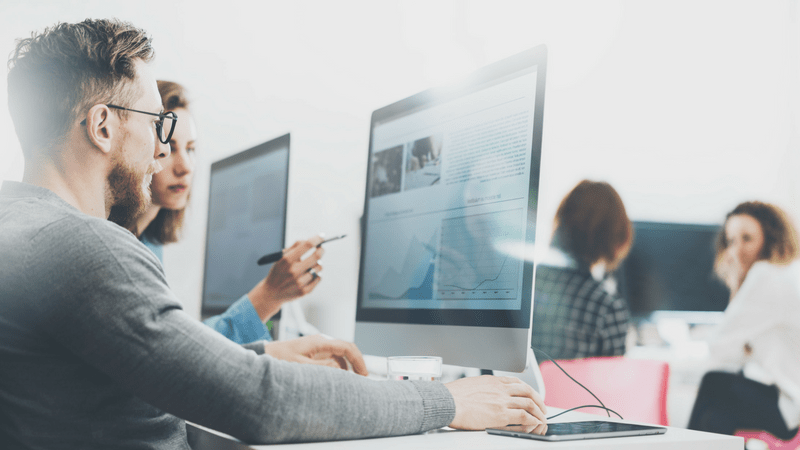 Access to venture capital, top tech talent, and experienced tech startup advisors has created an exponential increase in demand for office space. Just how crazy have things gotten? The average cost of a 600 square foot office space in San Francisco is a whopping $43,356 a year. The good news? You don't have to blow your money on expensive leases when you can find plenty of affordable coworking options. The San Francisco Bay Area is comprised of several metropolitan areas, along with smaller urban areas, that provide good coworking options for most tech startups' budgets, needs, and preferences. Located in the historic Lion Building on the corner of Second and San Fernando, NextSpace San Jose offers a dependable coworking experience for entrepreneurs of all backgrounds. One of the first coworking spaces in the world, NextSpace is truly a trendsetter. Since its inception in 2008, the organization has perfected its coworking model by implementing feedback from its members. This has resulted in its expansion from an old bank building in Santa Cruz to to seven locations in California (and one in Chicago). "We understood that if you’re going to spend eight or twelve hours a day somewhere, doing something, it ought to be in a setting that works for you, not against you. That’s what NextSpace is all about. Communities create collaborations, and collaborations create something brand­ new. Our job is to foster what we call the 'hum,' the 'glow,' or the 'vibe.'" Here you will find entrepreneurs from a variety of industries who are more than willing to share ideas over coffee. While the lack of tech focused companies may be undesirable for some tech startup founders, the atmosphere is perfect for those still fleshing out ideas and fine-tuning MVPs. Hero City is a coworking space, accelerator, and stomping ground for world-class speakers. Designed in conjunction with Draper University, the organization has become an ecosystem for aspiring entrepreneurs and corporate innovators around the world. Both the coworking space and university were founded by legendary VC Tim Draper (i.e. founding partner of the firm that funded Hotmail, Skype, and Tesla). "Hero City is much more than a co-working space. It is a community of world changing entrepreneurs located in the heart of San Mateo. With weekly snacks and monthly lunches, our members share ideas and build community." Due to the facility's partnership with Draper University, which functions as a sort of entrepreneurial boarding school, coworking members have unique access to the Draper Venture Network of funds and a variety of top-notch educational events. 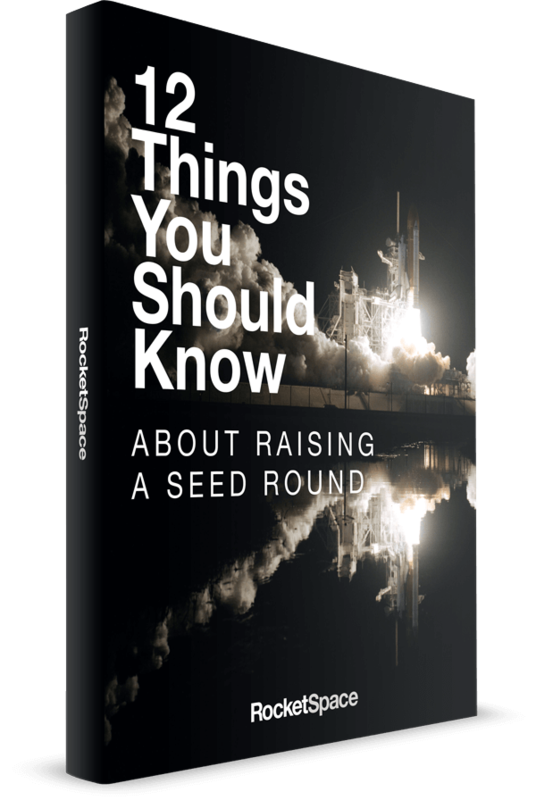 If you're a tech founder who wants to be where all the action is, and wants to network with VCs, advisors and other tech entrepreneurs, look no further than RocketSpace. RocketSpace is more than a coworking space; it's a thoughtfully curated technology campus located in the heart of San Francisco. Since opening in 2011, RocketSpace has become a favorite choice among tech founders looking to scale fast. Since opening its doors, RocketSpace has supplied workspace and resources to 18 "unicorns" who have raised a total of $21 billion in funding. RocketSpace is a coworking space created by tech entrepreneurs for tech entrepreneurs as solution to a dilemma faced by CEO Duncan Logan: Spend a ridiculous amount of money on private office space in an isolated building or join a coworking facility and be surrounded by non-tech freelancers. Today, we almost exclusively admit Seed to Series C funded tech startups. This stringent vetting process is why so many tech startup founders call RocketSpace home. A strong corporate partner program, which facilitates key partnerships between tech startups and corporates to help facilitate growth and support innovation. Industry-focused Accelerator Programs: Designed for later stage startups who want to validate their products through pilot testing and grow with industry leading corporations. Mix and match desk/office options that can accommodate teams of 60+ people. A happening events calendar featuring round table discussions, big name speakers, and more. The Hivery is probably the most unique coworking space on our list, considering it was built exclusively for women. Founder Grace Kraaijvanger created the space after reconnecting to a latent desire to open a dance studio. Kraaijvanger realized the dream wasn't so much about dance as it was having a creative space for women to create, collaborate, and connect. "The most important gift The Hivery gives is the gift of inclusion, welcoming all who believe in support, kindness, and the creation of meaningful work. We believe you deserve a beautiful space, a sense of belonging, and a community of women who believe deeply in your ability to contribute your unique gifts to this world." While The Hivery may not be tech-centric, the space attracts a large number of members looking to shift their career path in a dramatic way and start a new company or project. If it doesn't bother you that your neighbor may be catching up on correspondence, while you're designing a pitch deck, The Hivery may be a great choice. Space available for private rental during business hours, in the evenings, and on weekends. The Cowork Lounge in Richmond is a community hub designed for entrepreneurs, startups, and freelancers. Here you will find a large shared open workspace, private cubicles, private conference rooms, and a break out area providing bottomless coffee, espresso, tea, water, and snacks. The Cowork Lounge is walking distance from plenty of great restaurants, including California Thai, Sam's Dog House, and Maria's Bakery. The coworking space is perfect for Richmond area entrepreneurs looking to avoid a long commute to San Francisco or San Jose. SkyDeck provides first-class coworking space, mentorship, and education to world-changing startups. Located on the penthouse floor of the tallest building in Downtown Berkeley, the space offers amazing views of the UC Berkeley campus and the San Francisco Bay. Formed as a partnership between the Haas School of Business, the College of Engineering, and the Office of the Vice Chancellor for Research, SkyDeck combines a traditional startup accelerator model with the significant resources of the University of California Berkeley. This robust partnership, coupled with SkyDeck’s unique mentorship program, provides a one-of-a-kind environment for tech startups. Due to the organization's large network of accredited investors, SkyDeck's entrepreneurs are often able to get the capital and expertise they need to scale fast. "Typically, teams that are ready for SkyDeck have the following: At least two founders working full-time on the company, a prototype or minimum viable product, and traction in the form of beta testers/customers/other. We will accept earlier stage teams that are technology, biotech, or science startups. We sometimes take earlier stage teams of any type if there is a compelling team, idea, or market need." Not quite ready for the organization's six month BAM program? Apply to a HotDesk. While you and your team won't have assigned work space or a Lead Advisor, you will be admitted to work in open areas and attend all workshops and events. Cohort Track: Must apply to the full program (open twice per year). HotDesk Track: Must apply. Most hot deskers are past or current members of cohort track. 70+ Advisors and 15+ Partners who contribute legal, financial and technical resources. Berkeley Acceleration Method (BAM) workshops; SkyTalks and Partner Roundtables; weekly collaborative problem-solving sessions and weekly networking events. The Port Workspace in Oakland provides a nice alternative to the hustle and bustle of San Francisco. Here you will find an inspiring work environment overlooking downtown Oakland. Nestled in a recently restored, high-rise Jack London brick and beam building, The Port provides an ideal atmosphere for meeting with clients, making deals, and launching products. Whether you’re a startup, solopreneur, or remote employee, you will be accepted here. As a bonus, your yellow keycard will also open the doors to 90 Port Workspace locations around the world. The Port provides all of the usual amenities, plus craft beer and wellness programs. Though the organization isn't tech-centric, it's an outstanding option for entrepreneurs wanting the affordability of Oakland, while building MVPs. Membership comes with access to LExC: a curated, international network of some of the most unique, independent coworking spaces in the world. Chair massage, yoga classes, and "Wine Wednesdays." 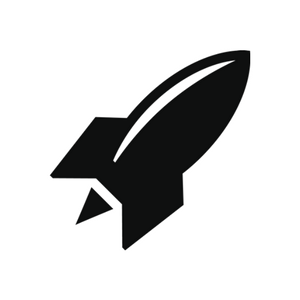 Ready to join the RocketSpace tech community? Preview our new San Francisco location and request a tour! Critosphere was founded by entrepreneurs Milan Kantaria and Ravi Makadia, two men seeking coworking space in the East Bay, but frustrated at the lack of options. While Critosphere isn't specifically tech-focused, the supportive community does boast a significant amount of business acumen. "Coworking is all about working together. Everyone is here to bounce ideas off of, brainstorm with, and troubleshoot with. At the end of the day it's what you sell that pays the bills. We want to help you build that better than your competitors." While Critosphere may not be an ideal choice for entrepreneurs and startups with MVPs and funding, it's a great option for those based in Fremont looking for a coworking space close to home. Virtual Office Packages ranging from $75 to $400 a month. Includes mail delivery and conference room reservation perks. Successful tech companies need community, network, and mentorship to grow and thrive. Exponential growth happens when you surround yourself with the right people, in the right work environment, and at the right time. The San Francisco Bay Area offers an abundant amount of coworking options for entrepreneurs in all stages of growth. If you're looking for a flexible work environment in the heart of San Francisco — where members eat, sleep, and breathe tech — come check out RocketSpace.